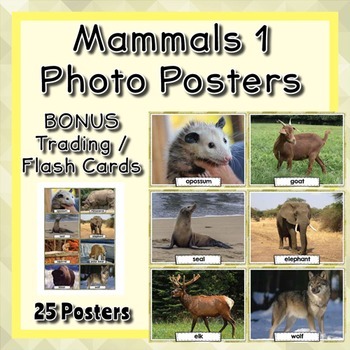 25 Real Mammal Posters. These 25 posters will fill up an 8.5x11 sheet of paper. Laminate and keep them forever! 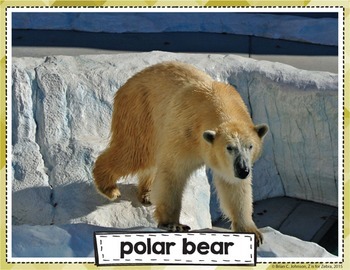 I have also included a set of trading / flash cards of each of the mammals. There is also a blank page of both the posters and the playing cards if you want to print them out to make additional posters and cards - or let your students make more! Each photo has the name of the mammal below it. 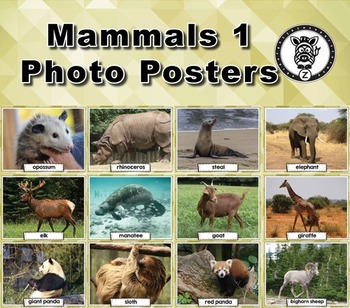 These posters are licensed for a single classroom and for non-commercial use. Enjoy & Please leave feedback if you find this useful! Use these real photo posters for your ela / english or science lesson plans to help students with writing or vocabulary. You could use them in your class or classroom for story ideas, sorting, creative writing prompts, a visual resource or classroom display. Both cards and posters are included with this insect/bug word poster bundle. Why use clipart / clip art when you can use realistic photos of real objects? 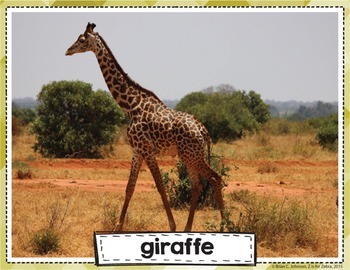 Cards be used as trading cards or flash cards to encourage and motivate kids to learn.